Flat utility rates, permitting issues, and ambiguous or nonexistent incentives are undermining the residential solar-plus-storage market, according to a new analysis. The report by the National Renewable Energy Laboratory, the Rocky Mountain Institute, and the US Department of Energy also analyzes the prices of solar PV-plus-storage and describes hard-to-quantify benefits. It concludes that “gaps remain” in understanding and communicating costs and value. “Installed Cost Benchmarks and Deployment Barriers for Residential Solar Photovoltaics with Energy Storage: Q1 2016” names permitting challenges as one of the major obstacles to increased deployment of solar-plus-storage. A survey of 11 energy storage investors found that in some regions, those investing in solar-plus-storage must gain approval from multiple jurisdictions, prepare a lot of documentation and submit to more inspections than are required for PV systems alone. “The permitting burden is due in part to the lack of cohesive industry-accepted codes, standards, and best practices,” said the report. 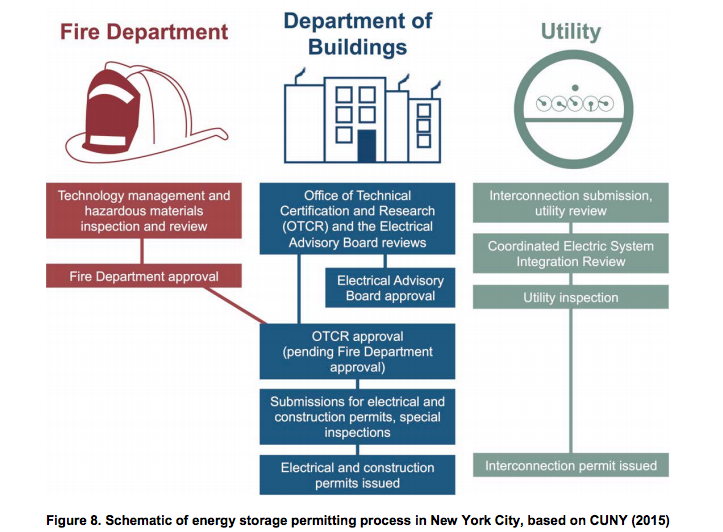 In addition, permitting officials generally aren’t familiar with energy storage technology, which “introduces additional regulatory uncertainty” and creates a barrier to widespread adoption of energy storage. Flat utility rates are another barrier. “In general, flat electricity rates reduce the potential value from load shifting provided by residential PV-plus-storage systems, notably when NEM (net energy metering) is available, because there is no incentive to shift excess PV generation from one time of day to another,” said the report. Stakeholders interviewed for the report said that mandatory residential time-of-use rates, such as those in California, could improve the value of PV-plus-storage due to load shifting. An upcoming NREL report will take a look at the potential benefits of load shifting through residential PV-plus-storage. Existing market and regulatory structures make it difficult to place a value on some of the benefits of residential solar-plus-storage, the report said. Solar-plus-storage can increase self-consumption of solar, provide backup power during outages and reduce residential demand charges. In addition, distributed energy storage could provide voltage and frequency regulation and defer investments in infrastructure. “New business models that aggregate and coordinate a fleet of networked residential PV-plus-storage assets could provide these grid-level benefits.” Such efforts could improve the economics of residential solar-plus-storage, but energy storage is undervalued at the grid level, making such benefits difficult to achieve, the report said. A series of recent orders from the Federal Energy Regulatory Commission (FERC) have begun laying the groundwork for better ways to place a value on storage. “FERC Order 890-2007 amended the ancillary services schedule to allow non-generation resources to provide ancillary services. FERC 755 (2011) increased payments to fast-responding resources, including batteries that bid into frequency-regulation markets,” the report said. 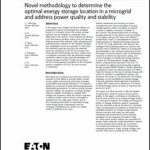 In November 2016, FERC proposed a rule that would require grid operators to develop regulations to accommodate the “physical and operational characteristics” of energy storage. Such FERC efforts could possibly allow residential owners of solar-plus-storage to benefit from additional value streams, which would improve the economics of the systems, the report said. The report also noted that federal tax codes related to solar-plus-storage are ambiguous and that few states offer incentives for PV-plus-storage. In the report, the authors divided system costs into 13 categories, ranging from hardware costs to “soft costs,” items such as labor for installations, plus permitting and inspections. “The resulting cost for a DC-coupled system that integrates a 5.6-kilowatt (kW) PV array and a 3-kW/6-kilowatt-hour (kWh) battery is $27,703, which is roughly half hardware costs and half soft costs,” the authors concluded. An AC-coupled system–often more useful if solar is used at the time of generation–costs $1,865 more, said the report. Breaking down the cost of systems into the categories could help reduce the costs of the systems, the report noted. Track news about solar-plus-storage by subscribing to the free Microgrid Knowledge newsletter.